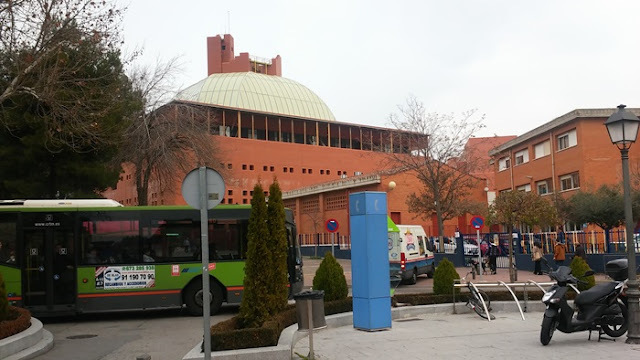 We visited Charles III University in Madrid last week, specifically the campus near Leganes station (Renfe Cercanias). 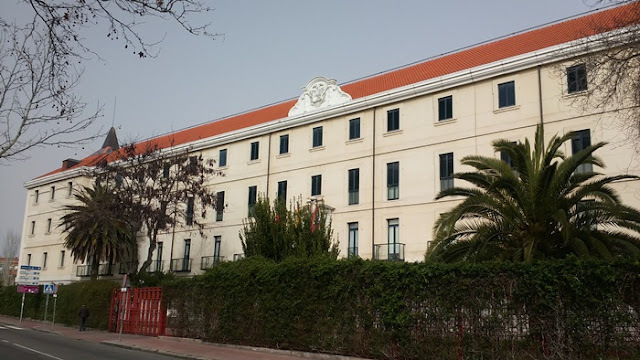 A friend of my husband's; who is working as a professor in the physic department in Charles III University was infected with a peculiar unknown disease and at the moment still bed-ridden in his mother's house in Tangier, Morocco. Fi sabilillah. My husband needs to relay the message to his friend's colleague as the telecommunication line in the village area in Tangier is really poor and his friend could not make a call to let them know of his condition. 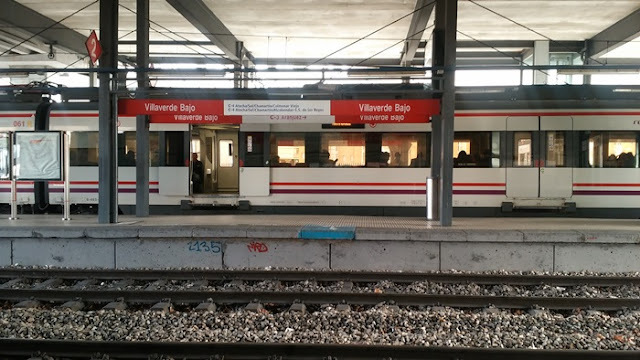 Villaverde Bajo Station (Renfe Cercanias) near our house. Charles III University is just three stations away from our house with one line transit but still using Renfe Cercanias. This was my second time visiting the university. The first time was to meet the professor himself and had a mini-tour of the university inside the Physics lab...hahaha. Looking at their projects and researches, I felt like I was thrown back to old times when I had the beaker and bunsen burner in front of me. The university has many campus and the one in Leganes is for School of Engineering. So that was why when I first visited the building, I wondered why the campus is so small? 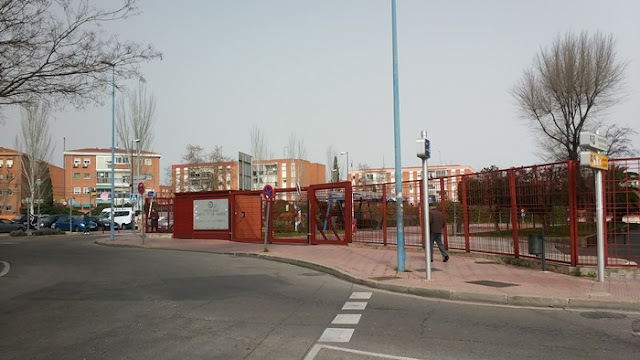 A five-minute walk from Leganes station (Renfe Cercanias) will reach the main gate of the university as in the above picture. Anyway, since we had nothing much to do after informing the situation of the professor to his colleague, we just roamed around the small area next to the university. We took about thirty minutes to stroll the area but really there's nothing much to see. Just a small town for the university student and the area is quite calm. If you are interested to continue your study in Charles III University in Madrid, do check out their website here. This - How to be a productive Muslimah housewife? - has boggled me so much when I got married at the age of 35 years old and I need to stay at home as a housewife. The main reason is because I was so used to finding my own income and working to determine how much I earn by being a part-time tour guide in Korea. The word being single and independent is freedommmm...at least that was how I thought before. It was a great job, I knew so many great people who remain as my close friends till this day and learned from them a whole lot too in the process. Alhamdulillah. But after getting married, my husband requested me to just be a housewife and that means he will be the bread winner. Yes, this is a great idea if someone hates her job! It would be an amazing news to stop working and spend your time at home. However, I love...my job and wish to stay active outside of home as much as I can like before. In summary, I was not ready to change my lifestyle just yet. The first year of marriage, I came into a down time. I felt like a robot doing the same old same, every single day. I always wonder how my mother can be married to my father for more than 40 years, remained so diligent and not get bored? You know, the rate of couple getting divorce sky rocketed like crazy nowadays in Malaysia and it was suffice to peak my curiosity. Until now we are still a duet and yet to be blessed with a child. I just could not adjust to the feeling and the task of a wife. It was boring! Well...someone would say, you are close to 40 for God sake! Isn't that mature enough to act like an adult?! Yes..if you count the numbers as a gauge for being a mature person but it remains an unanswered question when a person can act ridiculously childish and feel so young inside even if they have creases on their skin as far as the eye can see, right? The problem is that it has never crossed my mind that all my actions can be considered as an ibadah if I make the intention for it to be so. Well, I heard some people preach about it but not when it comes to practical solution. I was clueless! 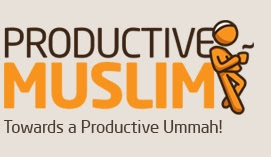 Let's just say that am I still a jahil person inside until I came across this website called as Productive Muslim somewhere around early 2015. The content of the website just boom!! Kebaboomm...hehe at me. It is as if my soul has awakened. Indeed! Subhanallah. That moment on, I carefully plan my daily schedule using the daily taskinator from the site and this has given me a bird-eye perspective on my life. I make sure that every action that I want to do will start with Bismillah, supplication to ask for guidance from Allah and when I finish the task, I will say Alhamdulillah. 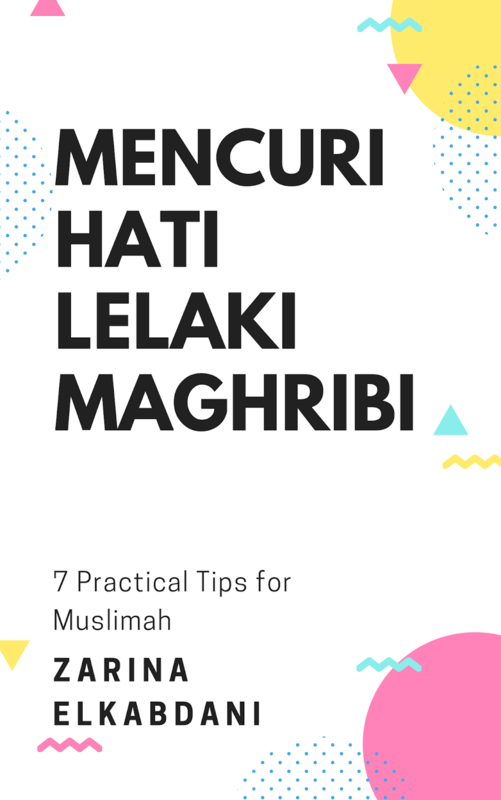 Back to the question of How to be a productive Muslimah housewife? First, is to be a good Muslimah. First, is the Creator and then the creation. I have to do all the fardh tasks for Allah then only to be a good housewife. I must be very firm on this. 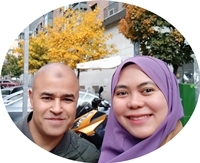 Alhamdulillah, I am married to a Muslim man who knows his responsibilities towards Allah first and this has helped me a lot to refine my status as a housewife. 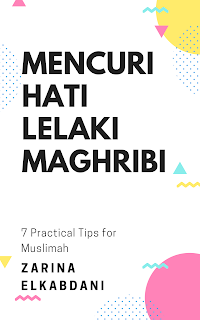 On the side of productive, I make sure to shower myself with knowledge on how to be a good muslimah and a productive housewife. The Productive Muslim site has helped me a lot and of course, reading, processing the information and turn it into practice is something that I have to do on my own and with Allah's help. 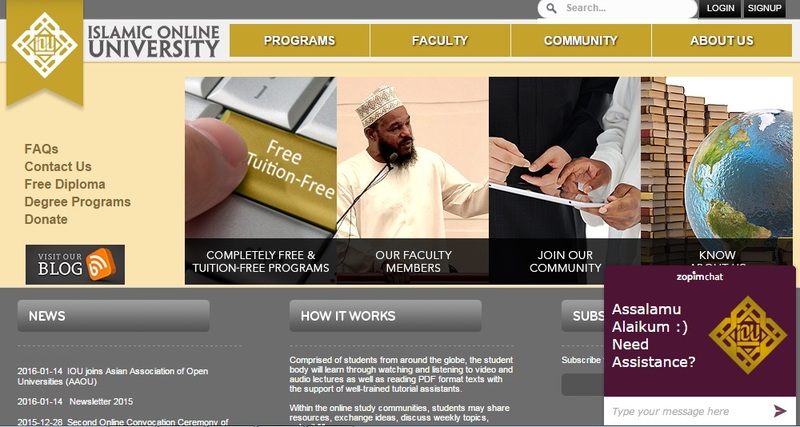 early on in 2015, I took a short course from Islamic Online University for Psychology from the Islamic perspective and this course has helped me to shift my goal in parallel with what Allah needs me to do in this life. Alhamdulillah. 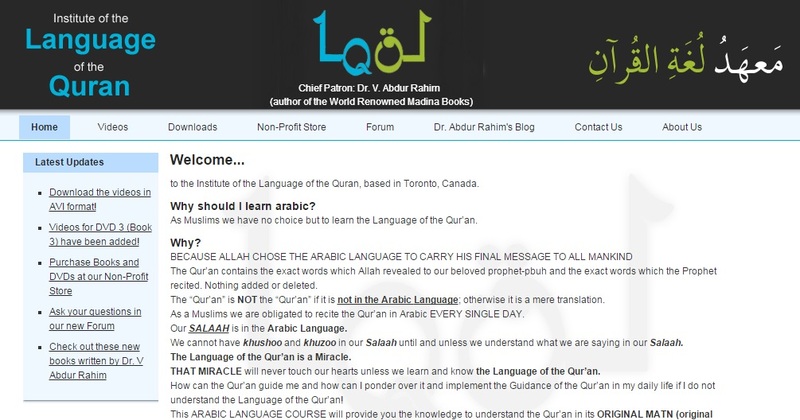 in July 2015, I took an initiative to study Arabic from LQ Toronto using the Madinah Arabic Book module from Dr. Abdur Rahim, all of them are free for download from the site. My commitment is to complete this study in about a year and a half which mean until end of 2016. Bi iznillah. So far, I have completed Book 1, Alhamdulillah and currently in the 5th lesson of Book 2. I make sure that I study at least two to four hours of Arabic every single day. It is really hard to actually discipline yourself but my husband has been a major push as he being an Arab and at home, we watch Arabic channels mostly. Alhamdulillah. So, when I watch the news, I could pick up many words that I have learned and even in the Al Qur'an! Masha Allah. Guided through the Qur'an Facebook and Youtube (Click CC for English subtitle). watching Guided through the Qur'an and Traveler of the Qur'an by Sheikh Fahad Al-Kandari has been a big source of motivation for me to study Al-Qur'an and memorize my favorite surah. I downloaded all the series and watch them one episode per day to motivate me to learn Arabic and memorize Al-Quran. I wish that I could be a hafizah one day but my primary goal for this year is to complete my Arabic studies and hopefully after having a good grasp of Arabic, the understanding of the language can facilitate my memorization easier. Bi iznillah. Prof. Wan Maseri's book at PTS bookstore. I implement Asmaul Husna in my supplication from the knowledge of my ex-professor of MMU, Prof. Wan Maseri and Ustaz Amin (Youtube-Kuliah Asmaul Husna). 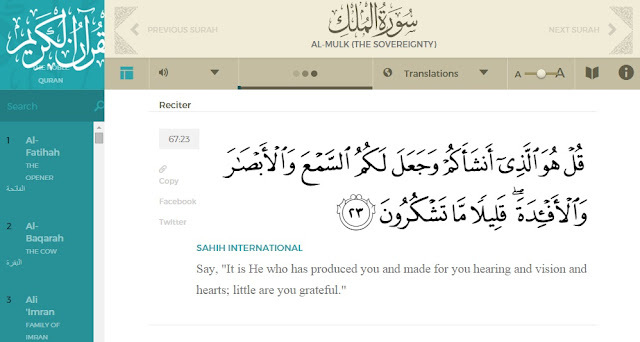 It has been a great source of reliance towards the One and Only Creator. Masha Allah, their effort to spread this knowledge has helped a lot of people including myself. 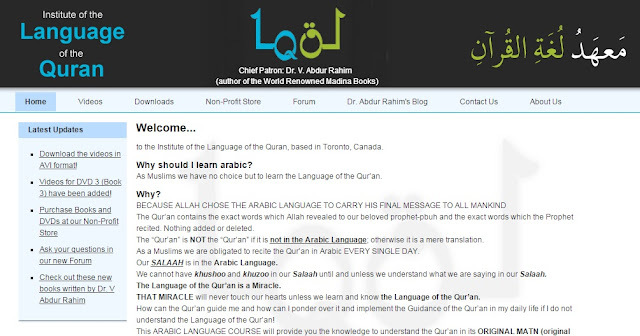 May Allah bless all the people behind Productive Muslim, Dr Abdur Rahim, Brother Asif and the team from LQToronto, Sheikh Fahad Al-Kandari and his team, Prof. Wan Maseri and her team, Ustaz Amin and his team, Dr Yasir Qadhi and his team with Jannatul Firdaus for helping me to be a productive Muslimah housewife. May Allah help us to be istiqomah in our journey towards Allah. Aameen. 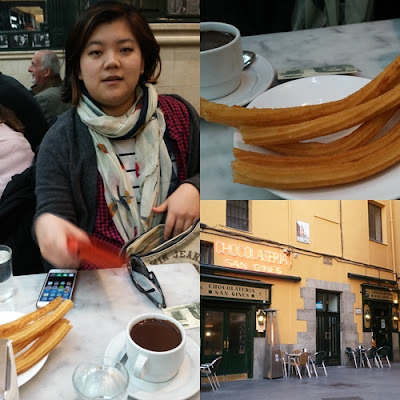 Min Young, my dear Korean friend came down from London to visit us for a short 2 days itinerary in Madrid on 5th (Friday) and 6th February (Saturday). She flew with Ryan Air from Stansted Airport for about two hours from Madrid on early morning at 7.15 (London time). Definitely killing herself because she just finished work at one, returned home to pack her bags and then took the bus to Stansted. Basically no sleep except in the flight. Pity my friend. Initially, she had me to do her itinerary but I said that it's better for her to tell me her interest and I will suggest the places accordingly. Prado Museum - she hired a Korean guide to explore the museum for 50,000 won for 2 hours and 14 euro for the admission and completes the whole tour from 11am to 2.30pm. We basically explored everything on foot because I don't have a car. Either way, she still has to walk and we use the metro or cercanias most of the time. 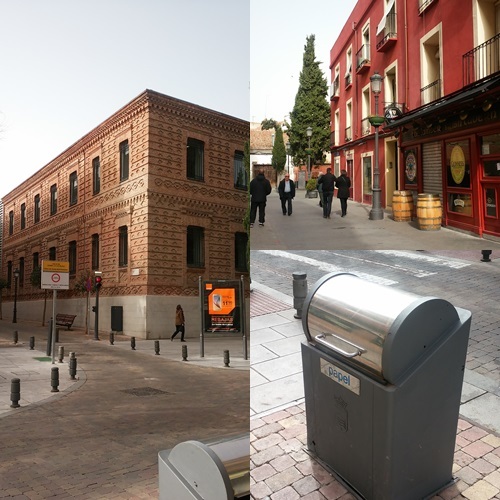 Madrid is just too beautiful to appreciate without walking and to compare it with Seoul (from my experience as a tour guide there), Madrid is not that big. 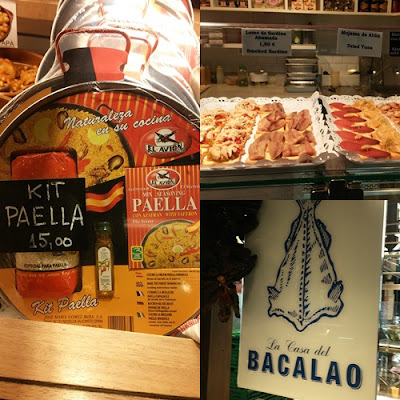 Define your interest and then select the places to visit in Madrid. 2 days itinerary in Madrid for some will be enough but for some it is not. The best time to visit, IMO is in March or October since it is not so hot or cold. 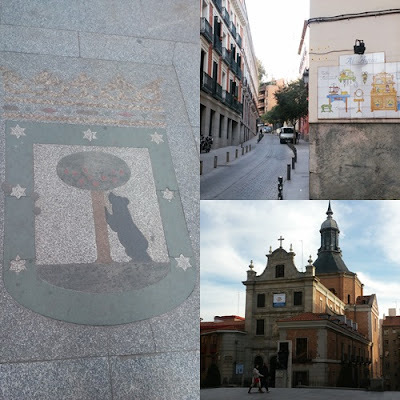 In the recent weekend, a dear Korean friend came down from London to visit me in Madrid. Having met her last about a year ago, I felt like as if we have not met just last week. Truly, the technology like SNS do help strengthen silaturrahim, if they are used correctly and wisely. She only came for two days and during the wee hour of Sunday morning at 5.30 am, she took the flight back to Heathrow with Iberia Airline. 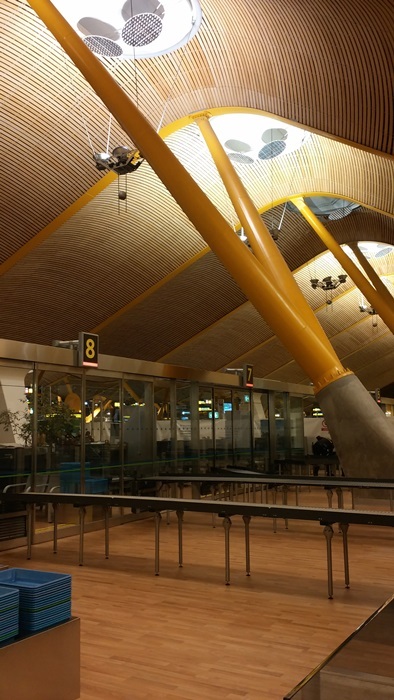 Iberia to London flight uses the shiny and bright yellow Terminal 4 of Barajas Airport. Barajas Airport has four different terminals. Do check your flight ticket to confirm the terminal before going to the airport. Honestly, this was my first time to Terminal 4 and we use Cercanias train (Renfe) from our house at Villaverde Bajo, transit at Chamartin then take another train to Terminal 4, Barajas Airport for about 1 hour ride for 2.60 euros (Note: price may differ from your location). We reached Terminal 4 right before the Fajar prayer at about 6.45 am. My friend needed to claim her tax refund for her shopping done in Madrid but the counter started at 7.00am. While my husband went off looking for the prayer hall at Barajas Airport, I assisted her in filling up the tax refund form. When the counter started operating there were only about four persons queuing before us. The process was brief but unfortunately, since my friend would transit her flight at Heathrow to Seoul, she had to claim the refund at the last exit country of the European Union (EU). At the moment, England is still a part of EU. However, the funny part was that both of the officers could not speak English! OMG!! I had to assist my friend with my very limited Spanish but Alhamdulillah the officer could understand me, with Allah's help. After that, while she checked in for boarding pass, I snapped some pictures of the airport. There were not so many people and we said our goodbyes, anyeong and everything. 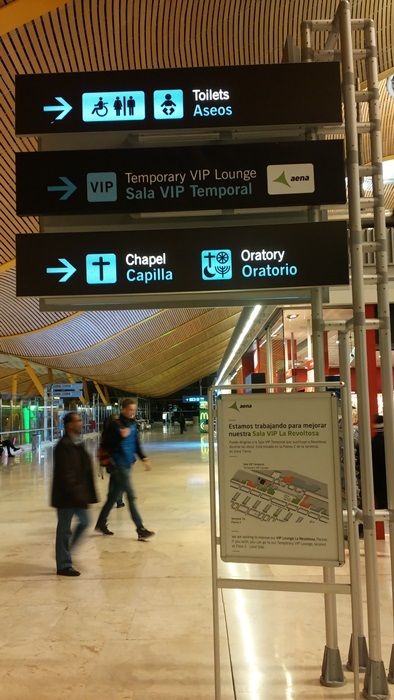 After that, I rushed towards the prayer hall at Barajas Airport. 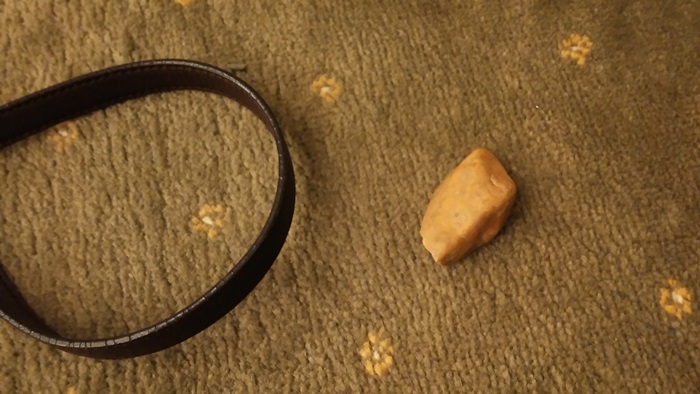 There were no ablution room but there was a small stone for tayammum at the corner of the prayer hall. 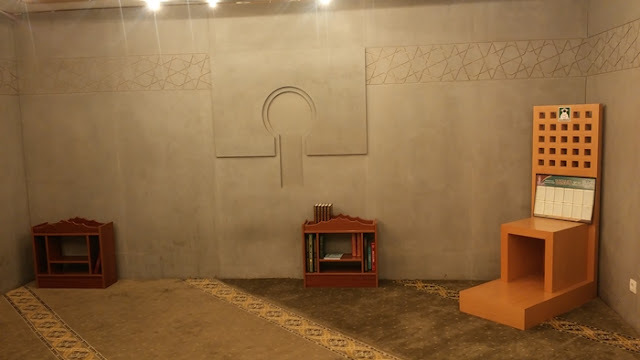 The prayer hall is pretty new and well maintained. There is another room as chapel and another room for Jewish and other religions. Basically, there are three spacious room for prayer. 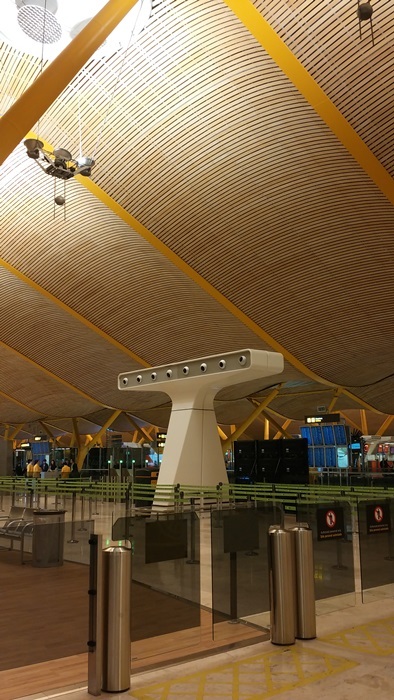 The prayer hall at Barajas Airport, Terminal airport is located at Departure floor, which is the upper most floor. They open at 6 am and close at 12 midnight. More information on Tayammum: Islamqa (English), Laman Fiqh Anda (Malay) and KIAS (Malay).